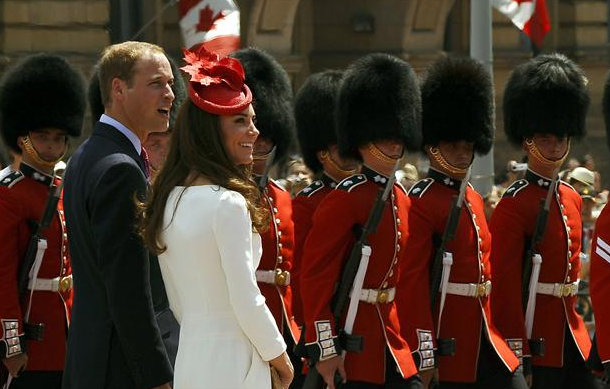 Will and Kate are currently taking in the Canada Day festivities in Ottawa. 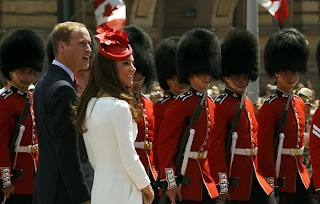 Like Kate's fascinator? Not sure I do, but I appreciate that she worked in the maple leaf and that it is red. I bet Will wished he has a hat...well at least his bald spot does.